Stamp of approval! Vogue editor-in-chief Anna Wintour was asked in a new video series called “Go Ask Anna” for her thoughts on a variety of topics including Duchess Meghan — and her famous wedding dress! The fashion powerhouse’s first question on Tuesday, January 22, came from a fan who asked, “Anna, I’m dying to know what you think of Meghan Markle,” to which Wintour responded with joy. Wintour is no stranger to royal traditions herself and was made a Dame Commander of the British Empire by Queen Elizabeth II during a ceremony at Buckingham Palace in 2017 for her contributions to journalism and fashion. 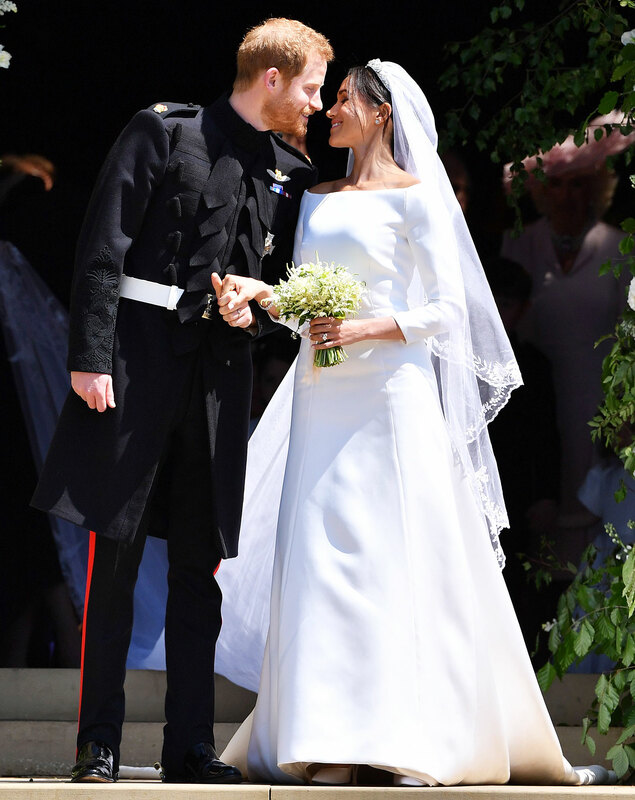 When it comes to the former Suits star’s fashion choices, specifically her Givenchy dress by Clare Waight Keller for her May 2018 wedding to Prince Harry, Wintour gave her full-fledged support. Beyond her glamorous look, Wintour also praised Meghan’s independence as she walked down the aisle solo before meeting with Prince Charles who escorted her to Prince Harry. “The fact that she chose to walk down the aisle by herself, I also thought spoke for an independent woman,” she explained. “I think the picture of the Duchess of Sussex’s mother [Doria Ragland] at the chapel at the wedding was so inspiring to so many women, men all over the world,” she added. Wintour acknowledged her admiration for Duchess Kate too, saying, “I think the two duchesses, the young duchesses that they have in Britain, the Duchess of Cambridge and the Duchess of Sussex, are going to keep the royal family afloat quite frankly,” she said.